It’s time to throw away the school books and start the summer. Hope these songs will help you do that. Some recent birthdays for rock and rollers gives us a chance to post a handful of tunes for the weekend. Stevie Nicks, born May 26, is 61 years old; Levon Helm, also May 26, is 67; Hank Williams Jr. (Bocephus), also May 26, is 60; and the great John Fogerty, born May 28, is 64. MP3: “Whiskey Bent and Hell Bound” by Hank Williams Jr.
MP3: “Stoned At The Jukebox” by Hank Williams Jr.
Bob Dylan will turn 68 on Sunday (May 24) – and the world will pay tribute to him that day. What else can you say about this dude: he is the oldest guy ever to top the album charts (twice), he has sold hundreds of millions of records and is considered one of the most influential people of our time. Rolling Stone picked “Like A Rolling Stone” as the greatest rock song ever written, and it wouldn’t surprise me if right now, at this very moment, someone in the world is singing that song. Well, it’s certainly been an interesting half year so far, eh? The centerpiece of a Springsteen album is a crappy cowboy epic, U2 fails to shake the world with their music, Dylan puts out a great album without playing the harmonica and the great American artistes du jour are … Green Day. And now we have the curious case of Mr. James Osterberg, a.k.a. Iggy Pop, and his new album Préliminaires – strange days, indeed. If you think Iggy’s gone all French jazz on us, you’re just half right. Préliminaires does kick off with the jazzy “Les Feuilles Mortes (Autumn Leaves),” with Iggy crooning in French, sounding like the wasted younger brother of Charles Aznavour or Yves Montand. Iggy has said this album was inspired by the book The Possibility Of An Island by French author Michel Houellebecq. The hero of the book is apparently a dog named Fox and Iggy celebrates his character with the jaunty “King Of The Dogs,” done up in Louis Armstrong-style jazz. From the guy who once growled “I Wanna Be Your Dog” these selections might be a little disorienting but don’t worry: “Nice To Be Dead” has that familiar rock thud and Iggy menace. It’s cool the way Iggy tries on these incongruent styles, like a shirt he’s going to wear for only five seconds. “He’s Dead/She’s Alive” is pure acoustic American blues and “Spanish Coast” has Iggy crooning much like his old mentor David Bowie. “She’s A Business” rocks like Iggy from the ’80s but its European counterpart “Je Sais Que Tu Sais” is more charming – it’s much sexier when a girl (in this case singer Lucie Amie) is talking in French. Préliminaires is a strange but immensely enjoyable album, mainly because it’s exactly what you would expect from the Godfather of Punk – the unexpected. BONUS: In 2000, Iggy performed a duet with legendary French singer Francoise Hardy on the classic “I’ll Be Seeing You.” Why not? Jay Bennett of Wilco, R.I.P. Guitarist, singer/songwriter, multi-instrumentalist and producer Jay Bennett – formerly of indie band Wilco – died of unknown causes Sunday at age 45. He was best known for his work in (and for his acrimonious departure from) Wilco. In fact, in recent weeks Bennett filed suit against the band, claiming it owes him royalty payments. Bennett played on five albums including the acclaimed Yankee Hotel Foxtrot (2002) and appeared in the You’re Trying to Break My Heart documentary. He also recorded some pretty good solo albums, one of which can be downloaded here for free. Humble Pie was a British boogie-rock band that reached monstrous success in the early 1970s. The band was formed in 1968 by former Small Faces guitarist/singer Steve Marriott, and Peter Frampton, a guitar player from the Herd, a moderately successful U.K. pop band. Because they signed a recording deal with Rolling Stones manager Andrew Loog Oldham, it was thought that Humble Pie would be a sort of Stones-ish blues rock band – but it took a while for them to get there. The band’s first two albums (As Safe As Yesterday Is and Town and Country) sounded more like the Band, with its acoustic underpinnings. It wasn’t until the fourth album, Rock On (1971), that Humble Pie hit its stride. The band recorded many of the songs on tour before they went into the studio and Rock On is a balance, a tug-of-war maybe, of Frampton’s more sedate, acoustic pop sensibility vs. Marriott’s boogie-till-you-puke approach. 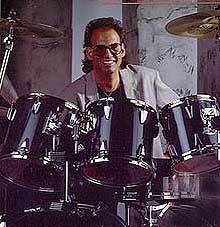 Former Billy Joel drummer, Liberty DeVitto, is suing his old boss. Check out the story in the NY Post. DeVitto told us about his troubles with Joel a few months ago in a 30 Days Out exclusive interview. You are currently browsing the 30 Days Out blog archives for May, 2009.